Welcome to Boulders Inn & Suites in Monticello, IA. 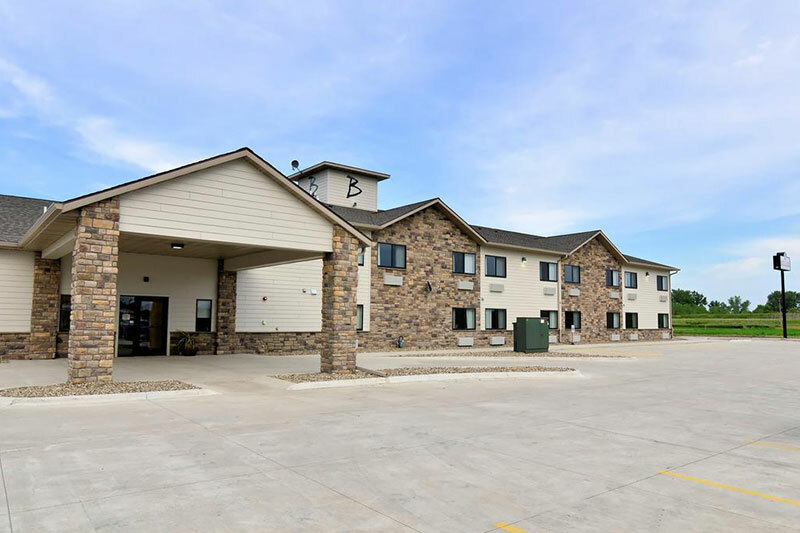 Conveniently located off of Highway 151/63 near Kirkwood Community College and minutes from downtown, our Monticello, IA hotel offers comfort and convenience with 32 rooms and suites. For those looking to sightsee, Monticello’s strategic location offers easy access to a variety of destinations including the Field of Dreams, Maquoketa caves, Dubuque and Cedar Rapids. Whether you visit for a family event or an important business meeting, Boulders Inn & Suites Monticello offers a peaceful atmosphere and elevated comfort that you are sure to enjoy. The modern guest rooms and suites have been adorned with select furnishings, a soothing color palette, and fresh decor. Additional hotel amenities include a hot breakfast daily, fitness room, business center, and wireless internet. From the moment you enter our spacious lobby our friendly, professional staff is at your service and will be happy to help you with the many amenities offered at Boulders Inn & Suites.